You can now enjoy a more granular control to permissions. We’ve separated out the ability for admins to set “View” and “Edit” permissions to deals and tickets, in sales and service tabs respectively. Managing team members’ interactions with leads throughout their customer journey can be a challenging process, especially in a growing business. But with these changes in user permissions, you will have more functionality and security, saving you time and energy to focus on growing better. 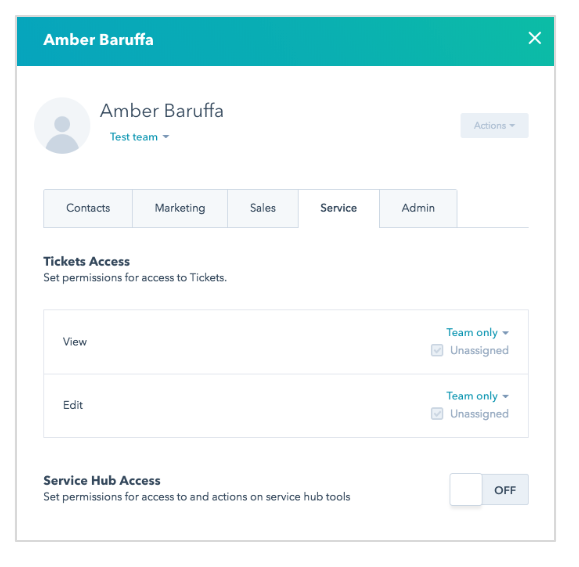 For example, if an admin trusts a colleague to view team tickets but wants the ability to edit only owned tickets, they can set “View” to “Team Only” and “Edit” to “Owned Only”. In user settings, admins can set the “View” and “Edit” permissions to specify “Everything”, “Team Only”, or “Owned Only” in deals and tickets. This update is now in beta.